The DB2 CONCAT function will combine two separate expressions to form a single string expression. It can leverage database fields, or explicitly defined strings as one or both expression when concatenating the values together. The SQL statement above will take and concatenate the values from the MFNAME and MFPARTNUMBER columns in the CATENTRY table. If we want to add an explicit string (or space) between the two columns, we could leverage the following SQL statement to do so. This query will add a blank space between the two defined expressions. NOTE: There is a shortcut notation available; however, I’ve found that if DB2 is not configured to enable it you will receive errors should you attempt to use it. 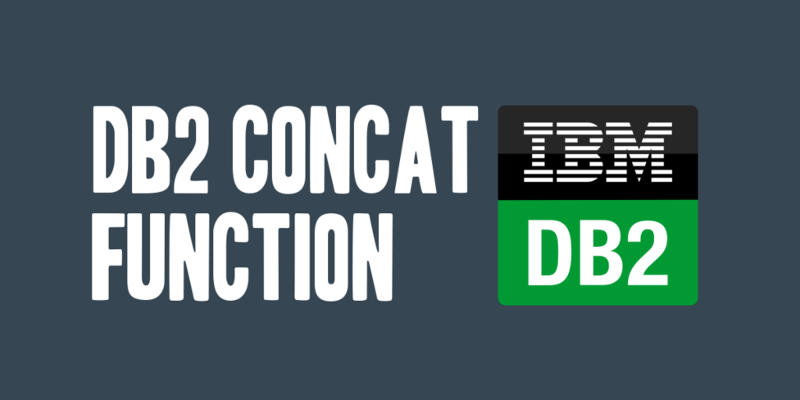 If you want to read the IBM DB2 documentation on the CONCAT scalar function, please visit the DB2 v9.7 Information Center: CONCAT scalar function.